The horrific incident in Christchurch, New Zealand, where 49 innocent Muslims, including five Indians, were gunned down mercilessly while offering Friday prayers, is a brutal example of what acute Islamophobia can lead to. While Islamic terrorism is a known global threat, one hears less of terrorist activities by white-skinned people. However, recent events have heightened the fear of future far-right terrorism. Harking back to the Ku Klux Klan of the US, a number of racist groups have spawned today to preserve and protect the so-called supremacy of the white race. The growth of white supremacist ideology among the fringe elements is fuelled by economic and socio-political insecurities and anxiety building up among the common white citizens in the US and Europe, as these countries are swamped by members belonging to other races, religions and nations, many of them dark-skinned. Immigrants and coloured people are naturally the first targets of attacks when white citizens face large-scale unemployment and have to compete with those they consider as outsiders for government benefits, privileges and other national resources. Slogans like “America for Americans” or “America First” touched a chord with many Americans, leading to President Trump’s victory, because there was a large constituency which felt disadvantaged by the daily competition in the socio-economic space with people from other nationalities and races. Brenton Tarrant, the 28-year-old white Australian nationalist who is alleged to have carried out the New Zealand terror strike, hailed Trump as “a symbol of renewed white identity and common purpose” in his written manifesto. Interestingly, both radical Islamic terrorists as well as white supremacist groups claim to draw their strength from their religions, which they often interpret in a fashion which is weighed heavily in their favour. The white supremacy idea is prevalent among many such groups that have cropped up, like white nationalism, right-wing extremism, Neo-Nazi, ultra-nationalism, anti-Semitism, alt-right. A belief in racial purity and superiority can often lead to racial hatred, as evident by these growing acts of violence and terrorism. Its, however, a two-way street, because victims of racial prejudice also vent their ire in the form of violence and terrorism, though more out of fear and anxiety from the threat perceived against its community and identity. Following the shocking act of terrorism last year when Robert Bowers gunned down 11 persons at a synagogue in Pittsburgh, USA, a survey was carried out by Public Religion Research Institute in which majority of respondents believed President Trump’s actions and behavior have emboldened the white supremacists. Obviously, his strong anti-immigrant and right-wing ideas resonate with the white supremacists. These white supremacist organisations also have elements of Islamophobia and xenophobic sentiments, which have a wide reach on the online platform, radicalising white people who suffer from a sense of victimisation. With the number of high-profile terrorist attacks carried out by far-right individuals growing in the past decade, it is considered a real threat in future. It is also felt that white supremacist threat has not been taken seriously or given priority by intelligence agencies and authorities, compared to Islamic terrorists. Brenton is supposed to have been influenced by Anders Behring Breivik, responsible for the 2011 terrorist strike in Norway in which 77 persons were killed. Throughout the manifesto, the theme he returns to most often is the conflict between people of European descent and Muslims, often framing it in terms of the Crusades. He wrote that the episode that pushed him toward violence took place in 2017 while he was touring Western Europe. That was when an Uzbek man drove a truck into a crowd of people in Stockholm, killing five. The Australian was particularly enraged by the death of an 11-year-old Swedish girl in the attack. From 2001 to 2014, in a period of 13 years, there were 20 attacks by far-right terrorists, which increased to 61 attacks in a period of three years, from 2014 to 2017. 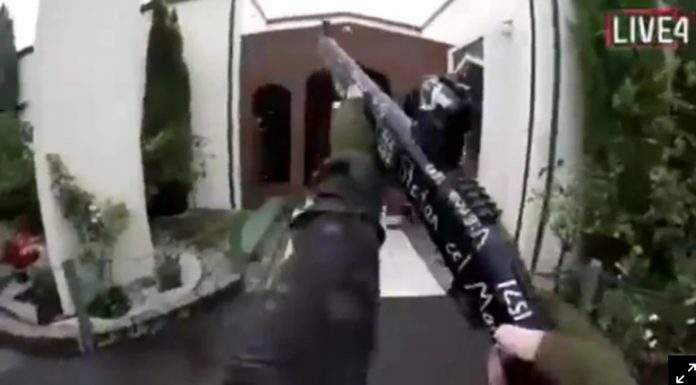 Brenton also live-streamed to the world in graphic detail his assault on the worshippers at Christchurch’s Al Noor Mosque. Political theorists see growing white supremacists and Hindu fundamentalists as two sides of the same coin. In the Indian context, the issue takes importance because India too is a multi-cultural society with a large population of Hindus and a sizable population of Muslims among others, where various forces are trying to undermine social harmony by fomenting overt and subtle expressions of racial, cultural and religious hostility or bigotry. With the rise of Hindu extremism as a foil to Islamic terrorism in the past few years and political parties fanning these with vested interest, the liberal forces must work towards stressing the need for recommitment to multi-cultural diversity, to counter hate and prejudice prevalent in our society.